It simply hadn’t happened before, the path made by the old, wise doe. The view from old faithful. Updated travel routes kept the shooters out of archery range. And with it, came little appreciation for the likelihood that the long-proven patterns of deer in this area of my farm had indeed changed. 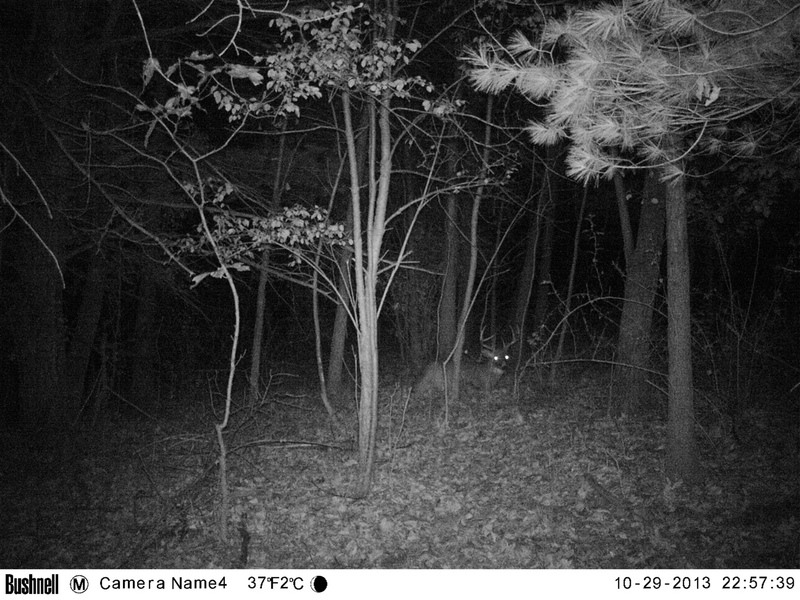 It wasn’t until after I saw more deer, including a fine 8-point buck, make the same route from a common bedding area and into the hardwoods, that I realized deer aren’t behaving the same as they had for many years. Even after briefly scouting the new, well-established trails on this new route well away from my faithful stand, it was hard to consider a change needed to be made. You see, many bucks have passed by this stand over the years, and no fewer than three bucks have been arrowed within 40 yards of this tree. Surely, this was the ideal location to be sitting. Except it wasn’t. And it played a small role in not filling my 2018 archery tag. So too did my stubbornness to not change the stand location earlier. 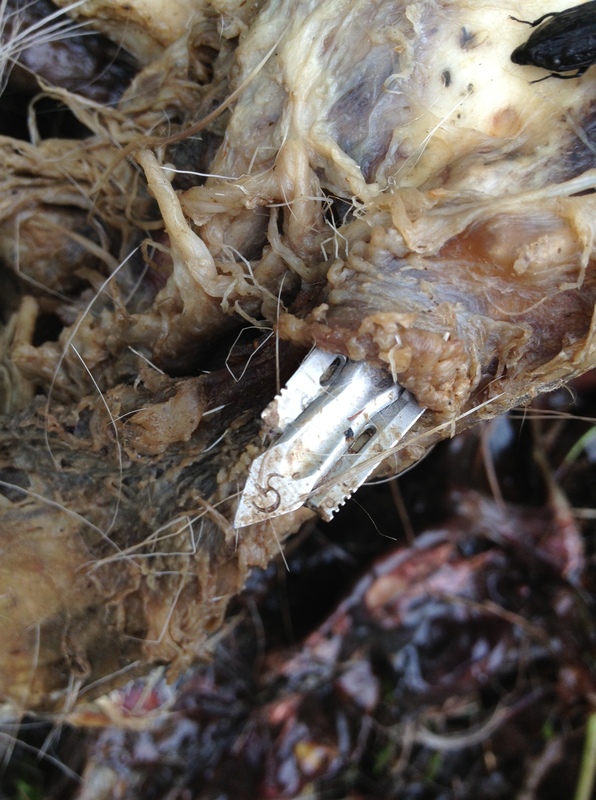 Familiarity can be a detriment to an archery hunter. The reams of data that exist within a hunter’s memory from decades of hunting a familiar location can skew his or her decisions. That was reinforced enough in me this year that I’m eager to consider how I’ll change several of my stand locations for 2019. This young buck followed one of the familiar trails. Upon further pondering the challenges of familiarity, it dawned on me how valuable scouting can be to a new hunting location. These are often the most valuable – and fun – elements of hunting the unfamiliar. Those minutes and hours dedicated to learning about the local deer of a location can often be the primary indicator of success. And advanced scouting before hunting familiar ground should be no different. It sounds simple, and it probably is. But when you’re coming from hundreds of miles away to ground you know as well as your backyard, you try to skip the scouting update portion of the hunt and take advantage of the knowledge you already have. It’s easy to do, right? Things change within the terrain (felled trees, food sources, erosion, etc.) that provide enough of a reason to, at minimum, confirm your intuitions. I should have done that. I’ve learned my lesson. And leave it to those old, wise does to teach me. The setting was magical and paid off countless dreams my imagination summoned for the last several months. The author with his 2016 Midwestern Whitetail Success. those supreme days of November that eons of history have shown to be premium for having a shot at a buck-of-a-lifetime. It was an amazing feeling – euphoric in every way. Through the hours of jubilation that followed, though, I was quick to realize that something was missing. I knew it immediately, and I’d be lying if I didn’t forget for a moment that this great tale would miss an important piece that all others of its kind had held over the last two-plus decades of bowhunting. Immediately following a moment like this, I have a small checklist of folks to communicate with to follow along with a fruitful hunt’s conclusion. My dad was always position No. 1 on that list. On this successful day, one of the most memorable and enjoyable of my hunting career, he was not there. 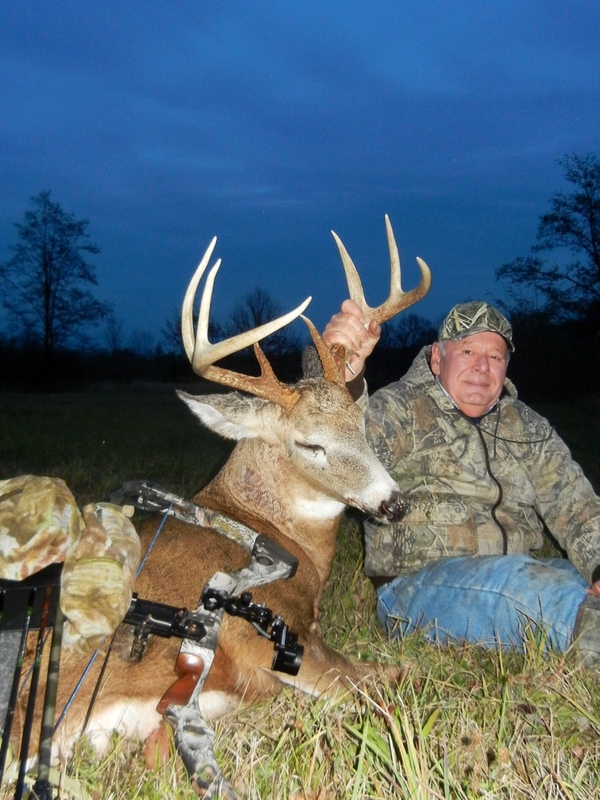 He passed away nearly three years ago, but him following along via phone calls or text messages when I connected with a big buck was among some of the best parts of the journey. No matter which state I was hunting. Another view of the beautiful deer. I think it was fun for him too. He often offered advice or positive reinforcement from afar, doing his part to feel like he was alongside me the way he was all those years tracking deer on our farm in Western New York. I wiped away a few small tears selfishly wishing I could call him. I knew I couldn’t reach him, but prayed he was following from afar this time too. Don’t get me wrong. Being able to connect on a majestic Midwestern whitetail remains one of the best feelings a hunter could have. This time was no different. A magical day, only one thing was missing from making it even better. I celebrated success with some of the dearest friends a deer dude could ask for – both in person and by phone. It was just missing some of the individual tradition that had for so long accompanied the joy. Like all traditions, this one must change too. For me, I welcomed the updated version of celebrating with my own kids, who are still too young to hunt, but know the passion the outdoors has sowed in my soul. I look forward to their successes afield someday. Then, I hope to become part of their small checklist too. Maybe even position No. 1! Shooting mature deer in New York State isn’t the easiest task to accomplish. Heck, let’s face it – shooting mature deer in Iowa or Illinois isn’t easy either, but you get my drift. That’s why I take great pride in saying that between my Dad and me, we’ve killed at least one mature buck the past five seasons. Heading into this archery season, Dad and I had a handful of target deer, but there was one buck in particular we were hoping to get a crack at. 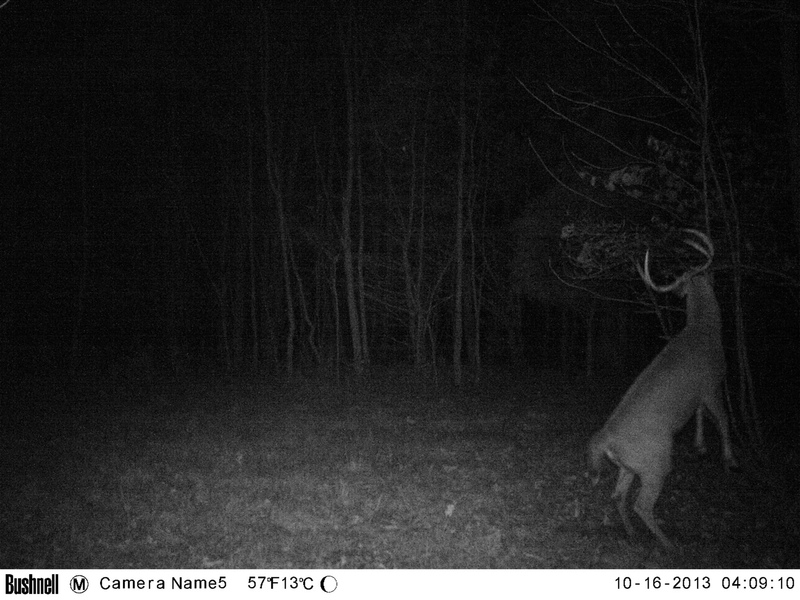 I had nicknamed the deer ‘The Show’ after a particular series of trailcam photos captured him standing on his hind legs while working a licking branch. Fast forward to September of this year when I pulled one of my cards only to find this same buck make reappearance. I was ecstatic. He was now mature and sported a handsome Pope and Young 8-point rack. 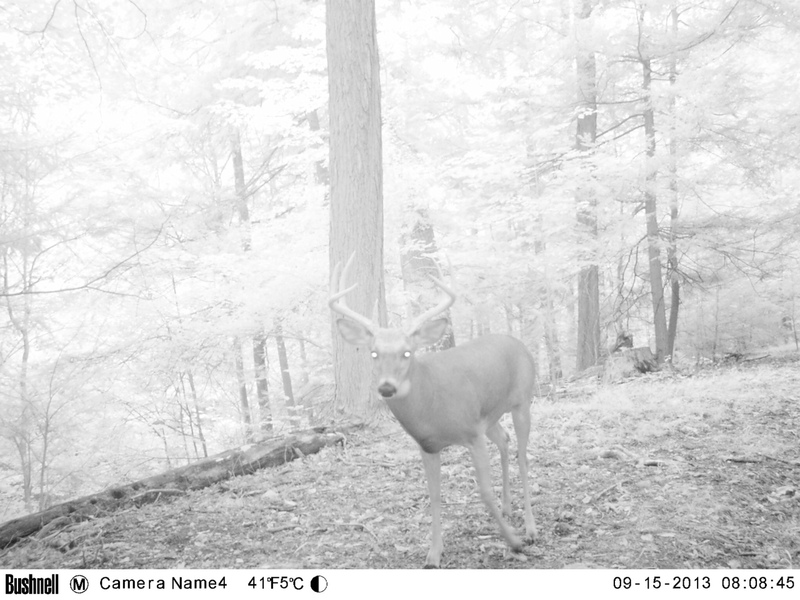 I relied heavily on my trailcams throughout October, monitoring the buck’s daylight activity. On October 22 I got my first daylight pic of him. It was time to move in. 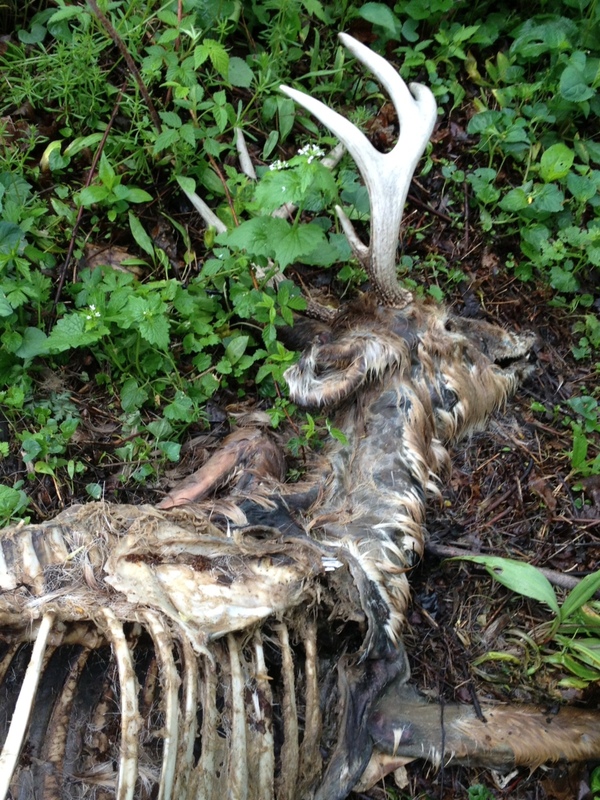 Dad and I hunted this deer’s core area hard for the next week or so, without any success. On the afternoon of October 30, Dad texted me around 3 p.m. to say he hadn’t seen a single deer all afternoon. Things soon changed. About a half-hour later I got a call from him saying that he’d just shot ‘The Show.’ We were pumped. Dad marked the blood and returned home where he waited for me to return from work. ‘The Show’ bedded with a hot doe less than 24 hrs. before Dad’s encounter with him. We gave the deer roughly three hours as Dad was concerned the shot may have been a touch back. 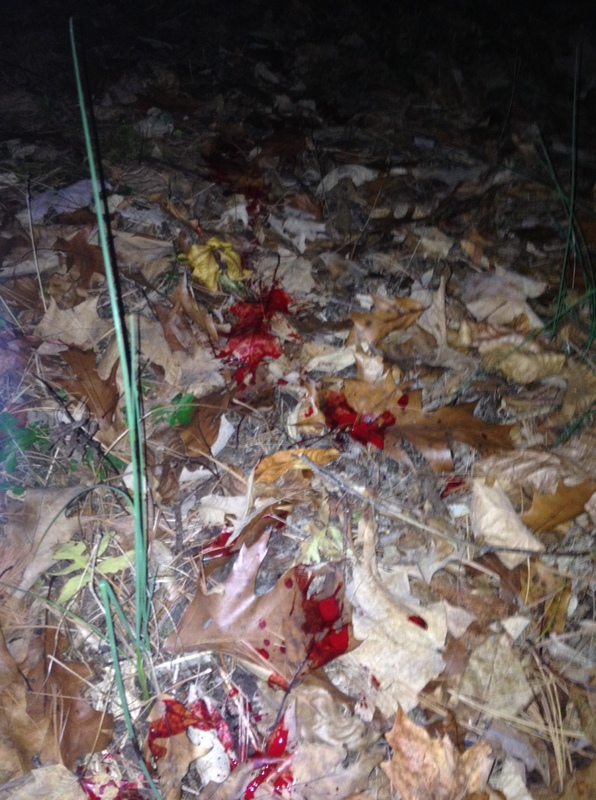 When we initially took up the trail, I was astonished at the amount of blood. It was as if someone had walked through the woods dumping red Kool-Aid from a gallon jug. But just as the trail began, it ended. I was confident the deer was liver hit and in fear of us bumping him, we backed out. I had to work the next morning and get my kids to school, so Dad took up the search by himself. It wasn’t long before my phone vibrated. It was Dad. He had located the buck, but the deer wasn’t yet expired. Dad knocked an arrow and moved in for a final shot. We had done it – Dad had done it. Our number one hit list buck was down. I wanted to jump through my skin with excitement. I returned home that night just in time to snap a few nice photos of Dad and his trophy. My Dad is 66-years-old and has overcome more than most. He suffered a severe back injury in 1995 and has fought through numerous other ailments including broken bones and most recently a detached retina in his right eye. To say that I’m proud of him would be an understatement. Having him shoot our number one hit list buck gives me more pleasure than I ever would have if I had tagged the buck myself. Next week on AHT read how my slow season picked up in a matter of 16 hours. For the last several years, I have joined some 35,000 individuals who have entered an annual lottery for a Kentucky elk tag. 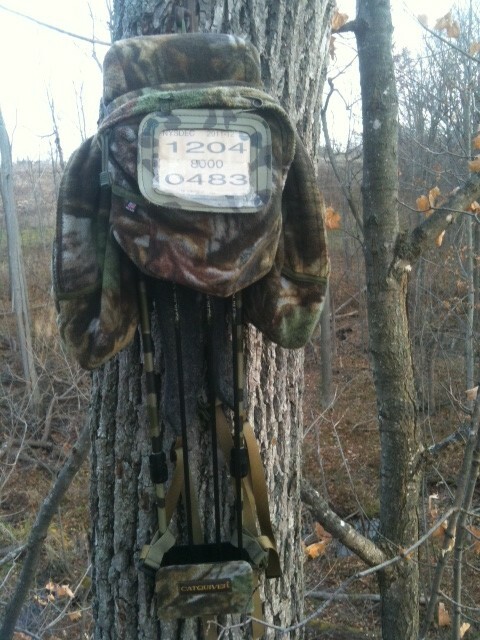 In all, 90 hunters will receive a tag to bow hunt the burgeoning herd that roams the Bluegrass State. Before I go further I want to go on the record, and be crystal clear, that this post is not in any way a bash on celebrity hunters. In fact, it’s far less about them – in this case two of the most popular in the country – and more about a program that decided to provide tags to celebrities sans the normal procedure for obtaining one. 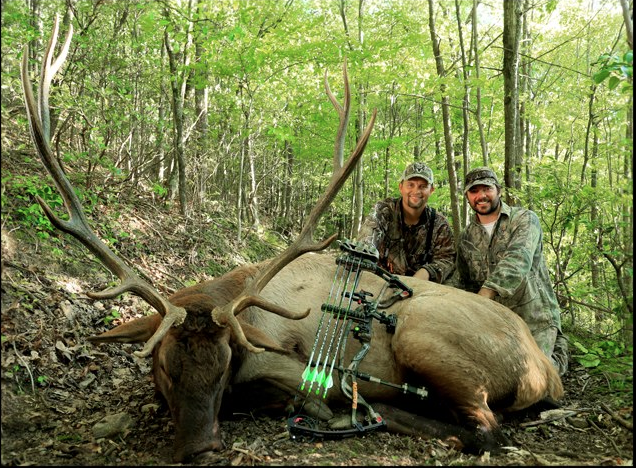 I noticed a Facebook post this evening highlighting the successful exploits of Michael Waddell and Nick Mundt of each taking a bull elk this week in Kentucky. Congrats to those two Bone Collectors for closing the deal. But I’m left scratching my head a little bit on what the “deal” actually was here. If I’m doing my scratch-pad math correctly, the chances of both hunters (neither a resident) drawing a Kentucky tag this year is less than .00013%. And that’s rounding up! Providing “media” tags to out-of-state hunters for the purpose of highlighting and promoting a state’s hunting attributes is not a new practice. For years the state of Iowa has provided annual tags in order to get their state in focus on television. And they’re certainly not alone. I point to both of those states, though, after feeling the same level of confusion with why they’re doing it at all. In both cases – Kentucky for elk tags, and Iowa for whitetail deer – the demand for tags far outweighs the supply of tags. The famous economic supply/demand curve shows that in this case, the two are in different countries. It takes no fewer than two years to be selected for a non-resident archery tag in Iowa, considering that most hunters try in the first year, are denied and provided a preference point, and then re-apply the following year. That’s the minimum time I’m aware of for the large contingent of hunters I know who apply each year. Three years is becoming more the norm for those hunters. Winning the lottery, literally, in Kentucky is seemingly a once-in-a-lifetime experience. So why do either of these states, or the large groups of others, supply these tags to hunters in order to be featured on their television program? My spidey senses say at the core it has something to do with dollars and little sense, but I’m sure some politician getting ready to seek re-election can provide a better explanation than me. Perhaps it’s to shine light on the successful conservation efforts by a lot of groups to re-introduce elk to Kentucky (side note: pretty amazing is the success of this program, by the way. It’s a testament that pretty much pokes anti-hunters, ones who doubt hunting as a fantastic conservation tool, right square in the eye). For now, though, I’m left to ponder the logic alongside more than 34,000 other hunters who don’t stand a chance of getting drawn for a Kentucky elk tag next year! Yup, that’s right I had left my Catquiver at home. Without it I was dead in the water. I’d be like Dale Earnhardt Jr. showing up to the race track without a Sharpie in hand. My backpack carries my arrows, grunt call, bleat can, gloves, knit hat and more. There was one solution to this problem and that was to drive back home and retrieve my catquiver, which I did. To complicate the problem, I arrived back home where I received a call from my Dad who said he forgot his release in the truck after I dropped him off. I eventually returned back to the woods, handed Dad his release and climbed the tree. All by 7:30 a.m.
It’s fair to say the morning didn’t go as planned, but with all of the garb we archery hunters carry now a days, I’m actually surprised it hasn’t happened before [but hopefully won’t again]. As I forecasted last week, rut action has really picked up. 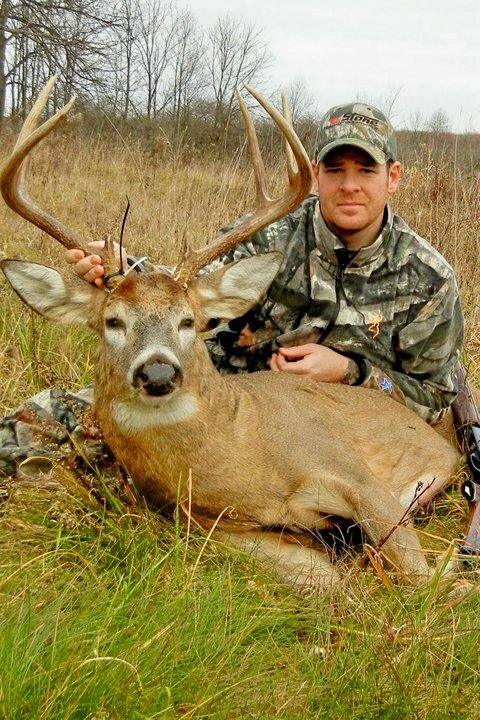 A quick search of the internet will show that hunters from the Midwest to the Northeast have been knocking down some bruisers. Unfortunately I haven’t been one of those lucky hunters. 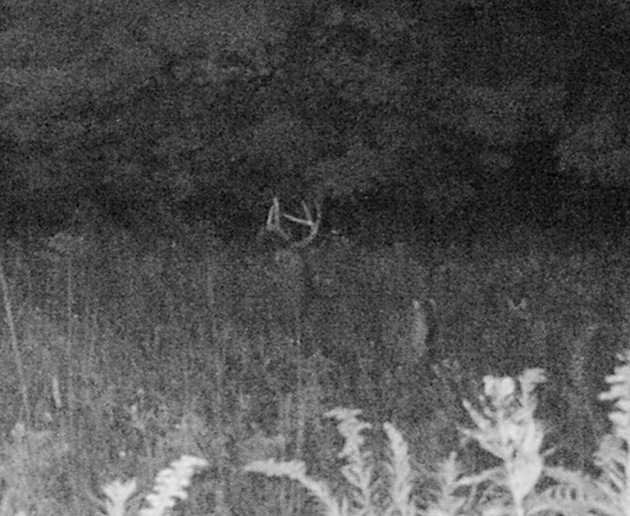 I’ve seen plenty of chasing and have passed up on plenty of smaller bucks, but I have yet to get a good look at a big boy. I aint giving up though. Tomorrow, 11/18 marks the end of the early archery season here in N.Y. The orange pumpkins invade the woods on Saturday the 19th. I’m going to mark the end of the archery season by sitting in a tree with my bow in hand. I’m down to my final hours, but I’m going to finish strong. Shooting a mature buck in the Northeast has proven to be a challenge. Not impossible, but a challenge. I know that. Hey, I’ve eaten my archery tag the past three years in this quest. At this point in my hunting career I’ve made the conscious decision though to shoot big deer or no deer – or at least just does. As I said, Saturday marks the beginning of shotgun/rifle season here in WNY. I will reluctantly join the orange pumpkins. I enjoy gun hunting I just don’t enjoy listening to all of the weekend warriors whack every deer that runs out of the woods on the first deer drive of the season. That’s not to say that opening day isn’t one of the best days to be in a stand though. I got lucky last year when ‘The Great Eight’ came strolling in in search of a hot doe. He seemed to have no idea it was firearm season, but then again we only allow stand hunting on all of our properties. I hope to have some luck this week. I’ve put in my time, I just hope it pays off. Some degrees in academia take two years, some take four. Apparently, getting your degree in the outdoors takes a heckuva lot more than that. I’m still seeking my diploma in the Outdoors (concentration whitetails) after more than 20 years in search of America’s most sought-after game animal. Can you find the buck in this screen shot? This buck played the role of teacher last week in my search for an outdoors degree. And this week was another lesson that professor Nature provided, leaving me as a stumped pupil hoping to not make the same mistake twice. 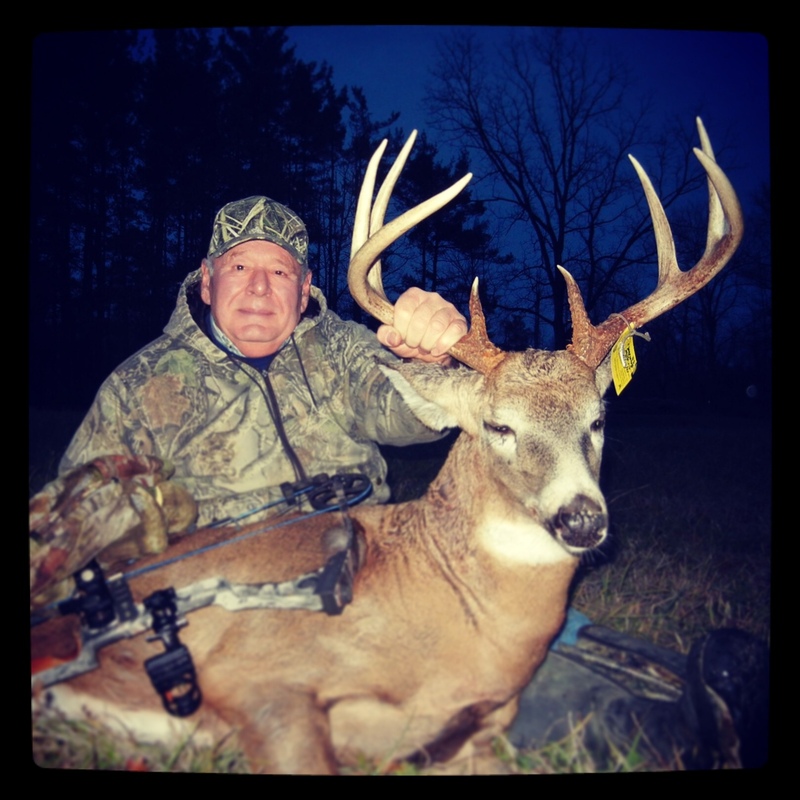 My hunting buddy Kenny and I made our near-annual trip to Western New York to chase whitetails with bow and arrow. It was its normally fantastic trip, yet neither of us were able to connect with a giant northern deer. 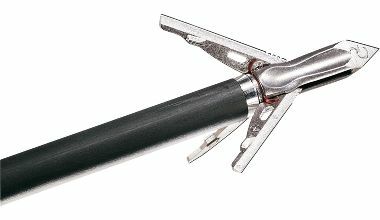 I came the closest, yet never flung an arrow thanks to a minor hiccup by your faithful veteran blogger. It was chilly – a crisp morning with temperatures locked in the mid 20s. For any deer hunter who relies on their senses for how good a hunt could turn out, you would understand when I say it felt like a “deery” morning. Shortly after 9 a.m. I noticed a single doe standing in the woods. I decided to video her. Shortly after I hit the record button, she made the all-too familiar glance behind her that signaled she was not alone. Was it a buck? I noticed another three deer walking toward her and figured those deer were the subject of her interest. I kept the video recording. It was then that I heard the sound of a buck making a single, quick grunt. I quickly transitioned into hunter mode, pushing my camera arm out of the way in exchange for a clear lane to draw my bow. I kept the video camera recording, but the it was pointed at the tree I was perched in. As I reached to the other side of the tree for my bow, I could hear deer running toward me – a clear sign that this buck was bumping at least one of the does. In just a few short seconds, several deer went from 60 yards behind me, to being within 15-25 yards of my treestand. 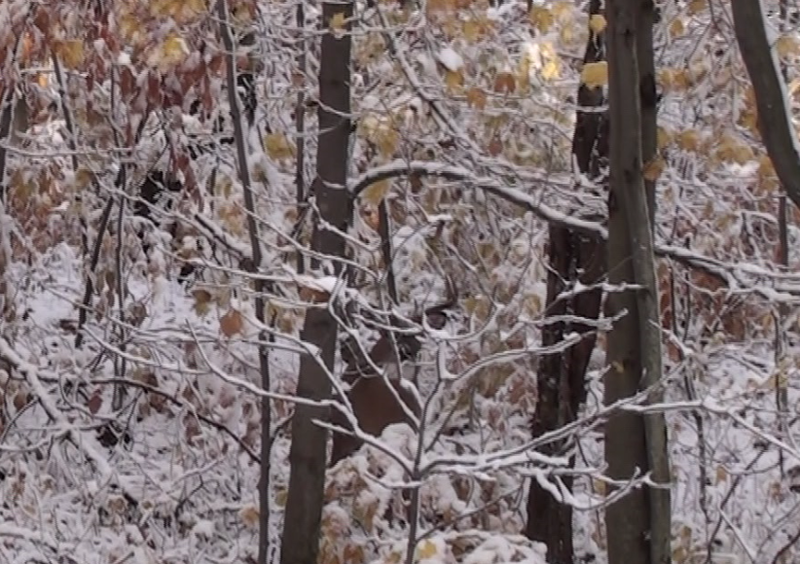 By the time I turned back around with bow in hand, a doe and the buck were glancing my direction. I was busted. And he was a shooter – A chocolate-horned heavy eight-point with an “ain’t happening” stare. I knew my opportunity was gone. There would be no way to get my bow drawn and make an effective shot on the buck at that point. I decided to reach for my camera arm and try to steer it toward the buck to catch video of him before the doe and he took off. I was able to capture just a couple short moments of video. And it was over. I knew at that point, because our trip to NY was so short, that this might be my last opportunity at a good buck this year with my bow. And a rookie mistake of not anticipating a possible buck being with those does ended up costing me. Lesson learned. And there will be many more before this hunter receives his diploma.